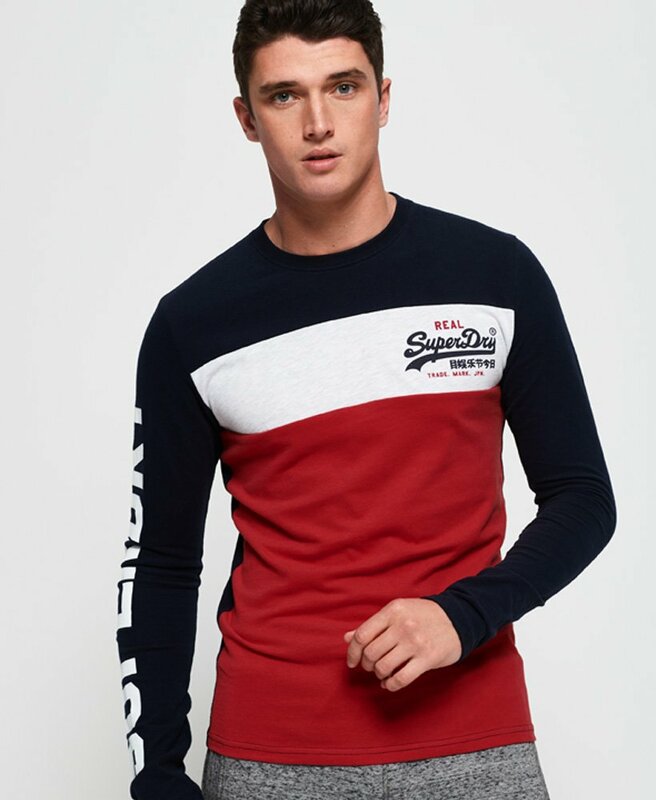 Superdry men’s Vintage logo panel long sleeve t-shirt. This crew neck, long sleeve tee is a great everyday layering item for your wardrobe. Featuring a crew neckline, a stylish panel design across the front and textured Superdry logos on the chest and sleeve. This tee looks great with jeans and trainers, offering a casual on-trend look.